If you are just learning to crochet, a crochet washcloth is the perfect starter project. They work up quickly which helps you get that sense of accomplishment when you finish a project. Starting with too large of a project may lead to burnout and have you putting it down and never finishing it. A smaller project, like a washcloth, can help you learn the basics of turning and edging on a smaller scale. This specific washcloth pattern is for BEGINNERS! It is super easy with just a few simple stitches! 100% Cotton Yarn: You always want to use 100% cotton yarn when making any type of dish towel or washcloth because of the way it absorbs water. The material holds shape the best and will also last the longest. Lily’s Sugar and Cream is the brand I most frequently use (weight 4). You can buy it in single 2OZ balls, or in a 14OZ cone. I buy the basic colors like white, black, gray, and cream in the cones whenever possible because those colors can be used in combination with so many other colors. If you only want to make 2-3 washcloths in the same color, a single ball will be perfectly fine. Crochet Hook: For this project I used a 5mm hook. I prefer Clover brand hooks over most of the others that I have tried, and it is the hook I used for this tutorial. Yarn Needle: For weaving in the ends. You can use your hook to do this, but a yarn needle is much quicker. Scissors: Or other sharp tool to snip yarn. Chain (CH): Yarn over and pull through loop on hook. Slip Stitch (SS): Insert hook into next stitch, yarn over and pull through stitch and the loop on the hook. 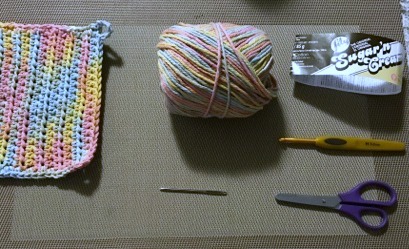 Single Crochet (SC): Insert hook into next stitch, yarn over and pull back through stitch. Yarn over and pull through both loops on hook. Half Double Crochet (HDC): Yarn over hook, insert hook into next stitch, yarn over and pull back through stitch, yarn over and pull through all three loops on hook. This pattern will make a washcloth that is a little bigger than your hand. For me I really like this size crochet washcloth for doing dishes. 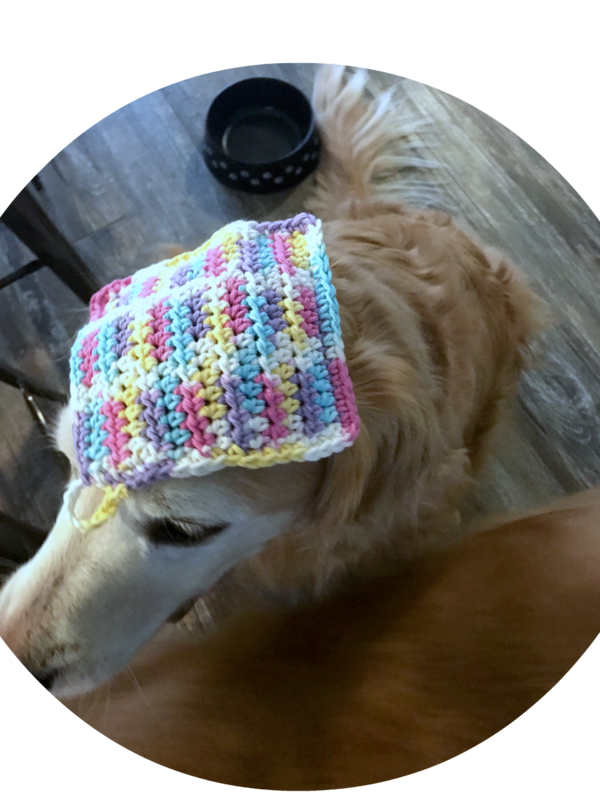 If you want to make your crochet washcloth smaller or larger you can increase or decrease the number of chains that you begin with. Row 3-12ish: Chain 2 and turn your work. HDC in each stitch all the way down. When you get to the end of the row, again chain 2 and turn and repeat until your crochet washcloth is the width/length you want keeping in mind that you will add a 1/4 inch border. Border: When you reach the end of your last row, chain 1. In the corner you will do 2 SC’s in the same spot the CH 1 is in. Then SC along the edge of the washcloth as evenly as possible. Once you reach the corner, you will do 3 SC’s in the same corner stitch. Again continue to SC as evenly as possible along the edge. When you reach the CH1 that you started the border with, slip stitch to the first SC of the border. If you want to add a small hanging loop like I have in my pictures, CH 7 to 10 and slip stitch back to the beginning. 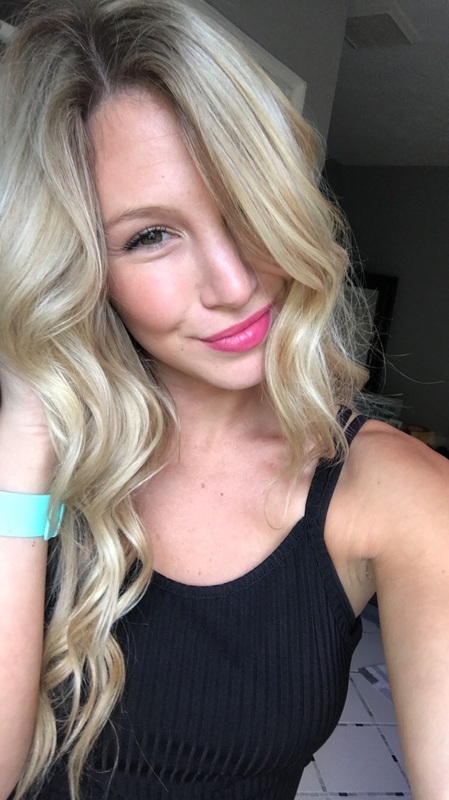 Cut and tie off. Weave in ends. A lot of my first washcloths were lopsided and oddly shaped, but now I can whip one up while watching Netflix episodes, and barely look down at it, knowing it will be a perfect square! Washcloths are also great for learning new stitches that you may want to use for a larger project. It will allow you to work out the kinks of the pattern before you start it on a large project and get flustered and overwhelmed. I hope you enjoyed this tutorial and if you have any questions, comments, or suggestions for future tutorials please let me know! Thank you!